Ultra Seam Metal Roofing and Siding Systems offers sustainable design through energy efficient cool roof coatings, recycled content and 100% total recyclable content. A metal roof with cool roof coatings can provide high solar reflectance and high thermal remittance. 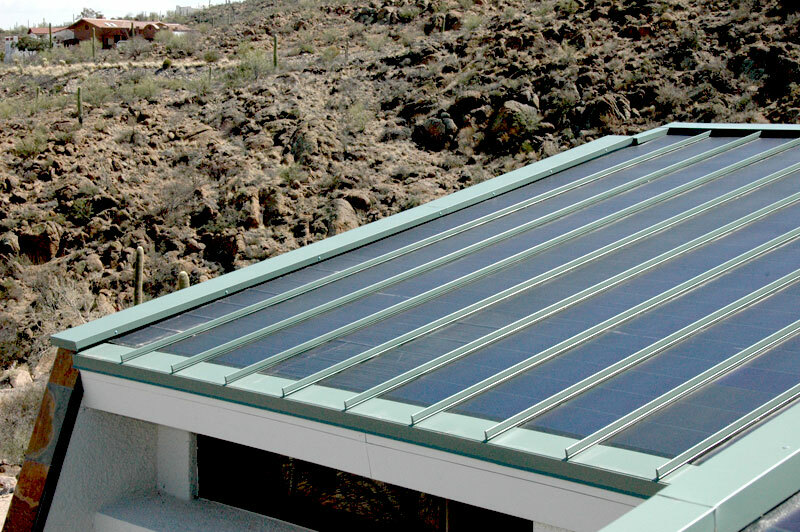 In addition AARA offers a Solar Standing Seam Roof System. 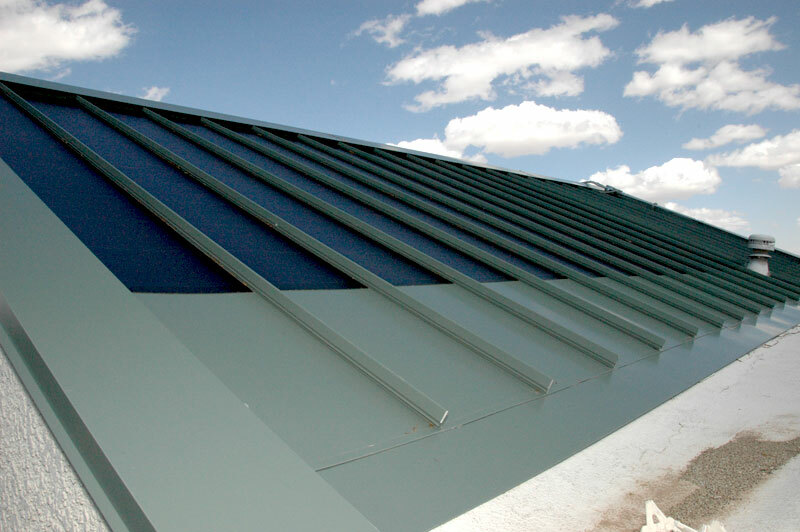 The thin film system is fused directly to the surface of the roofing panel substrate. 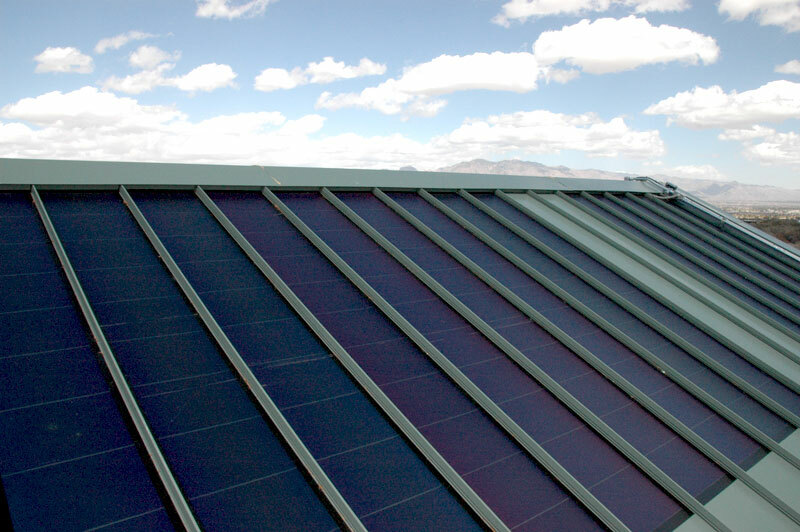 The photovoltaics are integrated into the roofing panel (BIPV). The panel/laminate bond has been tested and proven to withstand winds of 160 mph. Thin film laminates achieve higher relative efficiency under high temperatures and low light. The system is ideal for curved roofing designs, avoids roof penetrations and doesn’t require additional structural support. This system works with the intended design and does not take away from the elevation. Photovoltaics that are integrated into the roofing panel (BIPV). A complete, standardized solar roof system that includes all schematics and specifications for all electrical components. Product delivery and installation from a reputable standing seam roof manufacturer. ROI of 10 years or less.